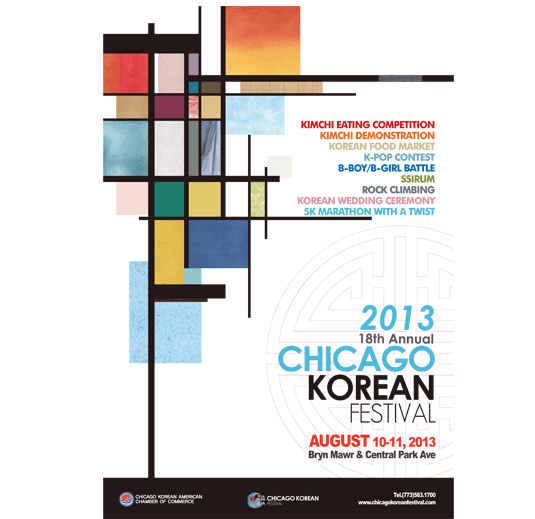 The Chicago Korean Festival is back for an 18th year August 10 and 11 on the campus of Northeastern University of Illinois at 3650 West Bryn Mawr Avenue. Hours are 10 a.m. to 10 p.m. The festival highlights include the “Chowdown in Korea Town” kimchi eating contest, kimchi-making demonstration, Korean food market, Taekwondo demonstrations and much more. Admission is free. To save money on eats, there’s a Groupon currently available offering $10 for $20 worth of food tickets. This sounds awesome. And thanks for passing along the Groupon!